Guinea-Bissau, (website in French), is a former Portuguese colony bordered by Senegal to the north and Guinea to the south and east. Guinea-Bissau is divided into 8 administrative regions (regiões) and 1 autonomous sector (sector autónomo), and are subdivided into 37 sectors. 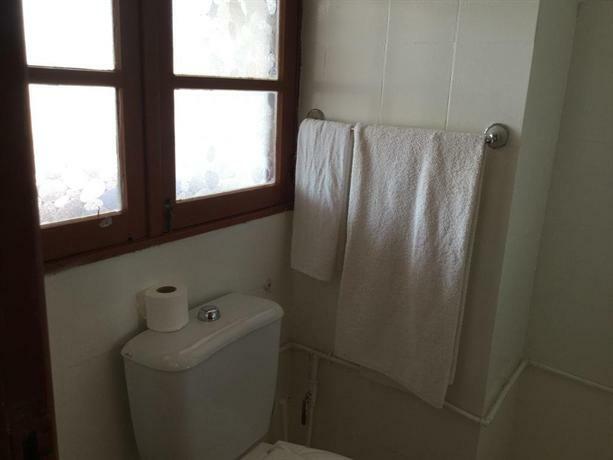 2 Bafatá - Bafata is a pleasant town with an interesting colonial centre, located on the Rio Gêba. Hometown of Bissau-Guinean patriot Amilcar Cabral. Ask around near the old market to visit his house. 3 Bolama - capital of the country until 1941, has some magnificent examples of colonial architecture and has been suggested as a world heritage site. 4 Buba - End of the tarmac going to the south of Guinea-Bissau. The town is built along a tidal river, the Rio Grande de Buba. Decent hotel. Bubaque - Largest town in the Bijagos archipelago, with hotels and harbor for boat trips to other islands. 5 Cacheu - Cacheu was once an important place for slave-trading, and there is still a little fort. 6 Gabú - Busy market town, with a predominantly Muslim population. 1 Bijagos Islands - an archipelago of some twenty tropical, beautiful islands. On the island of Orango it is possible to see hippos, and there are many other possibilities of eco tourism on the "unspoiled islands". On some islands there are even turtle nesting grounds. Many islands have French-owned fishing lodges. Varela - Just south of Cap Skirring, but on the Guinea-Bissau side of the border, it is a tour de force to get to Varela on a 50 km long bumpy dirt road from São Domingos - but it is all rewarded when you reach this little paradise, with a superb Italian-owned hotel, beautiful beaches and pine forests and a very relaxed atmosphere with almost no other tourists. Guinea-Bissau was once part of the kingdom of Gabu, part of the Mali Empire; parts of this kingdom persisted until the eighteenth century. Early reports of Europeans reaching this area come from 1456 CE/AD. The rivers and coast of this area were among the first places colonized by the Portuguese from 1588 onward, the interior was not explored until the 19th century. The Portuguese tried desperately to hang on to their colony much longer than other European countries. An armed independence rebellion began in 1956, but it was not until 1974 that the Portuguese finally accepted independence for Guinea-Bissau. Guinea-Bissau's post-independence history has been chequered. A civil war in 1998, followed by the imposition of a military junta in 1999 has been replaced with a multi-party democracy. The economy remains fragile, however hopes are high. Guinea-Bissau is warm all year around and there is little temperature fluctuation; it averages 26.3 °C (79.3 °F). The average rainfall for Bissau is 2,024 mm although this is almost entirely accounted for during the rainy season which falls between June and September/October. From December through April, the country experiences drought. The ethnic groups in Guinea-Bissau include Fula and Mandinka in the north and northeast, the Balanta and Papel in the southern coastal regions, and the Manjaco and Mancanha in the northern and central coastal areas. Guinea-Bissau's GDP per capita is one of the lowest in the world, and its Human Development Index is also one of the lowest on earth. More than two-thirds of the population lives below the poverty line. The economy depends mainly on agriculture; fish, cashew nuts and ground nuts are its major exports. No Guinea-Bissau embassies have websites to obtain entry info. To complicate matters more, there are no Guinea-Bissau embassies in the US or UK. Visa-seekers are advised to visit the GB Embassies in either Dakar, Senegal; Lisbon, Portugal; or Paris, France (tel: +33 1 48 74 36 39) for visa information. Visas are required for citizens of most non ECOWAS (Economic Community of West African States) countries. If you are coming from a country where Guinea-Bissau does not have diplomatic representation, you have 2 options at your disposal. The first is to obtain a visa at the Bissau Guinean embassy in Lisbon. The embassy processes tourist visas same-day, within 2-3 hours. Call ahead to confirm this though before making travel plans for Portugal and Bissau. The second option is to obtain a letter of invitation and arrange for a visa on arrival in Bissau. Whatever individual or organization that is hosting you will need to make these arrangements and there is not a clear well-defined policy regarding this. This second option is also more expensive than getting the visa in Lisbon. If you are going overland, a good place to get a 30 day visa is from the Guinea-Bissau Consul in Ziguinchor, Senegal which cost CFA20,000 =£27 and takes only 30 minutes. the Consul is open Monday-friday from 08.30-14.00. 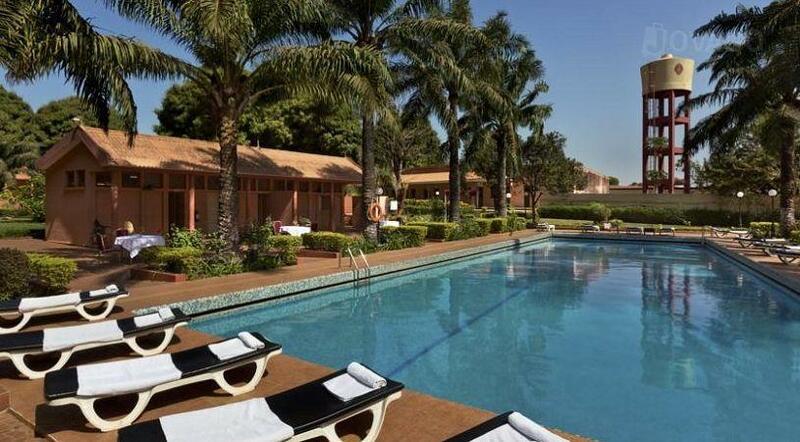 For longer stays in Guinea Bissau, a "resident card" can be obtained in the governmental migration office in Bissau. The rather cheap price depends on the duration of the resident card. Direct flights from Portugal with EuroAtlantic airways every Wednesday and Friday, returning same day. TACV Cabo Verde Airlines have daily flights from Dakar, Senegal to Bissau every day. The flight time is 75 minutes. There are no trains in Guinea-Bissau. From Ziguinchor, Senegal to Bissau it should take you 3-4 hours by sept-places (seven-seat Peugeot) or your own car, depending on the border bureaucracy. Roads are in good conditions, only some potholes after São Domingos. After sunset, the border with Senegal is closed. From Gambia (Serrekunda), count on 7-8 hours if everything goes smooth. If going by sept-place, you'll have to switch in Ziguinchor. Dakar-Bissau with public transport can be done in one day with a little luck, but you need to leave Dakar early and change vehicle in Ziguinchor. Other main borderposts include Pirada (dirtroad from there to Gabú) to Senegal, and Buruntuma to Guinea-Conakry (also via Gabú). There is a sea route between Dakar and Bissau. Additionally there are boats to and between the Bijagos islands. In Bissau minibuses called toca-toca work for transports within the city. There are also regular taxis. For inter-city travel there are sept-places, (seven-seat Peugeot) and candongas, big commercial vehicles carrying ten to twenty passengers. Prefer sept-place or at least try to get the front seats. It is also possible to rent taxis to other towns and cities. The main bus-station "paragem" of Bissau is situated behind the BCEAO (Banco Central dos Estados de África Ocidental) on the Airport Road. 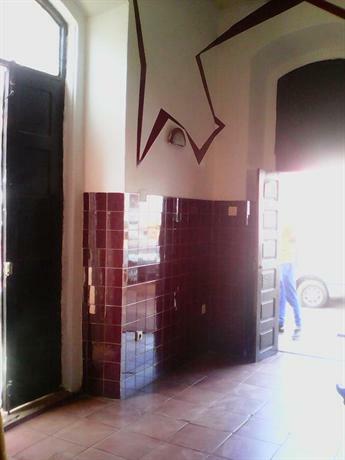 Are you heading for Biombo or Prabis, you need to go to another bus-station in Estrada de Bor. There are no time-schedules; cars leave when they are full. As most locals travel in the early morning (7.00 a.m.-ish), cars fill up quicker in the morning. It might be hard to get transport in late afternoon and evening. To go to the islands, there's a choice between cheap, but rather unsafe, canoas (pirogues) leaving from Porto Pidjiguiti or Porto de Bandim, and expensive modern boats owned by French fishing lodges on the Bijagos islands. In 2007 a ferry started sailing between Bissau and Bubaque, leaving Friday and returning Sunday. Schedules depend on tides, so check in advance. As Guinea Bissau is very flat and there is virtually no traffic on the roads outside Bissau, it's a good country for cycling. Bikes can be bought in the country, which will probably ( as in most parts of the world) be Chinese made bikes. As always of good value for money. Forests of Jemberem - Cantanhez Natural Park, where you can see chimpanzees with a little luck. 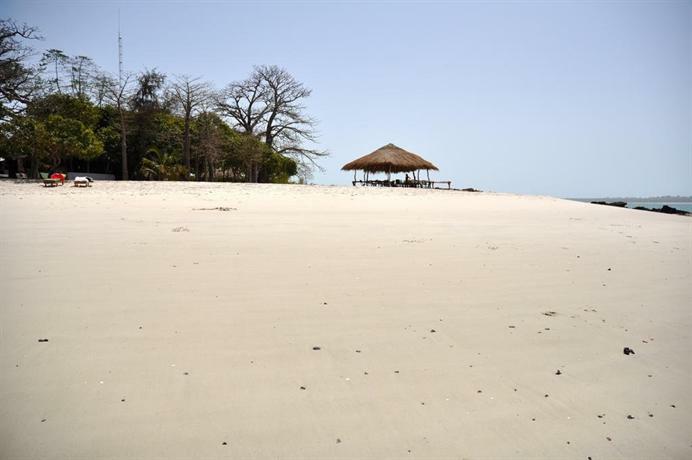 Varela Beach - one of the few nice beaches in Guinea Bissau. The West African CFA franc (XOF) is used by Guinea-Bissau. It is also used by Benin, Burkina Faso, Côte d'Ivoire, Mali, Niger, Senegal and Togo. While it is a separate currency from the Central African CFA franc (XAF), the two currencies are used interchangeably at par throughout all countries that use the CFA franc (XAF & XOF). Both CFA francs are guaranteed by the French treasury and are pegged to the euro at 1 euro = 655.957 CFA francs. In December 2007 the first ATMs arrived to the country of Guinea-Bissau - in the BAO (Banco da Africa Occidental) branches of Bissau and Gabú. An ATM is also being set up in the Hotel Malaika in Bissau. These ATMs only function if you have a local account with that bank. It is probably safest to bring euros or FCFA enough to cover the time you plan to stay. Western Union is present in Bissau (eight locations), Bafatá, Gabú, Buba, Canchungo and Mansoa. They charge a 10% commission. from 2014 Ecobank has ATMs in Bissau which take Master card/visa card for cash withdrawal. The largest market in the country is Bandim Market, which is on the main road going into town. You can buy many things there and the atmosphere is nice. Otherwise there are small vendors on most roads of the capital. In the villages (Tabankas) you will also find small vendors selling the necessities. In the main towns in the countryside there are larger markets called "Lumo", which give farmers and merchants the possibility to sell or trade their goods. Guinea-Bissau is a poor country so there are fewer possibilities for shopping than in the Gambia or Senegal. Most Guineans eat rice with fish, because the country is rich in fish, and rice (homegrown or imported from Thailand) is relatively cheap. The more costly meals contain beef, goat, chicken or pork. Meals are also made with palm oil and peanut sauces and diverse vegetables. Guineans also eat wild/game meat (deer, monkey, beaver etc.) but these animals are considered to be in danger of extinction and so it is not recommended to support this. Guineans are known for their warm heartedness and so you will always be asked to come have a bit with a group of people (it is common to eat from a large bowl)..."bin kume, no kume"
Fruit available depends on the season, but mangos, papayas, oranges, grape fruits, bananas, cashews and peanuts are abundant. Also try the sour "fole" fruits and the baobab fruit juice (sumo de cabaceira). Imported fruit can be bought in "fera de prasa" in the center of Bissau (apples, pears, pineapples, watermelons etc.) but is more expensive than in Europe. Vegetables sold in the markets include lettuce, tomatoes, cucumbers, bell pepper, parsley, okra, potatoes, carrots, onions, garlic, chili, sweet potatoes. Street snacks are typically sandwiches with hardboiled egg, omelete, fish or beef - or donuts, cake or hardboiled eggs. Frozen juice in small plastic bags is popular among locals. The people of Guinea-Bissau love to drink a sweet green tea known as "warga", the non-Muslims also enjoy drinking cashew wine or palm wine. There are also possibilities to buy Portuguese beer, wine and soft drinks but these are more expensive. It is recommended that foreigners only drink bottled, filtered or boiled water. 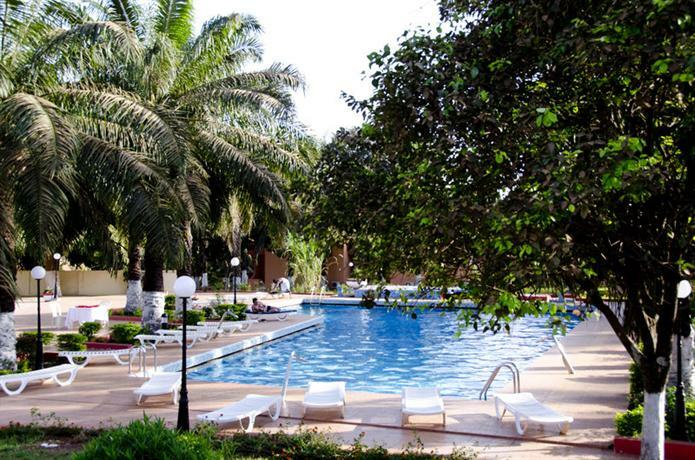 Hotels in Bissau are generally overpriced - but some hotels were undergoing renovation in 2007, giving hope for more competition and lower prices. 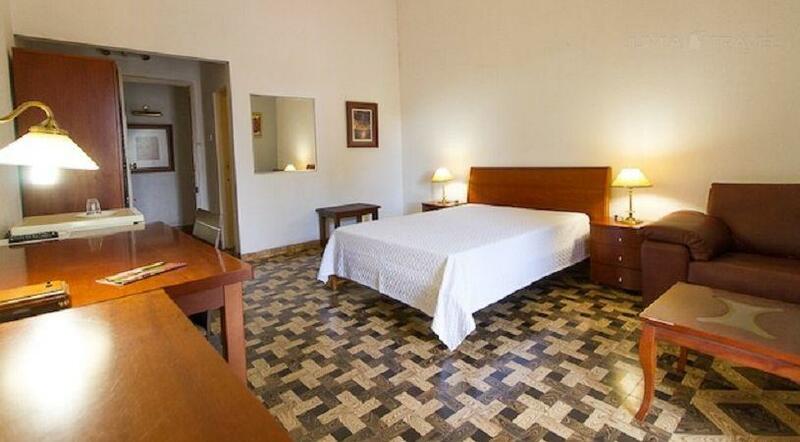 In most of the towns outside the capital, there are possibilities to find hotels or other rentable rooms. 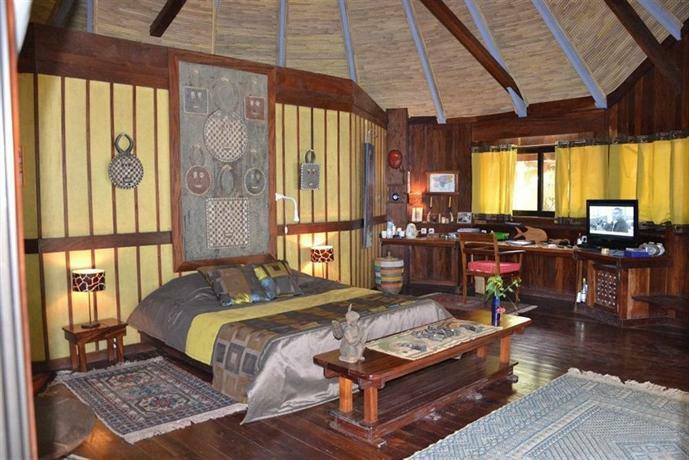 There are also mainly French-run hotels on the Bijagos islands which are recommendable. There are numerous NGOs, missionaries and international organizations (UN, EU, WHO, UNICEF, The Global Fund) working in Guinea Bissau. Guinea-Bissau has one of the highest rates of petty and violent crime on the continent, which should not be underestimated, a lack of much law enforcement, and a very dysfunctional government. The country is home to several drug kingpins and a large volume of narcotics passes through remote islands and airstrips en route from South America to Europe. The country also has the onerous distinction of never having an elected president complete a full 5-year term in office and there have been dozens of coups and attempted coups as well as numerous assassinations of officials and military leaders since independence in 1974. The most recent coup was in April 2012, which follows a failed coup attempt in 2011, the house-arrest of the prime minister by the military (and threat of killing him) in 2010, and the assassination of the president by soldiers in 2009 (a day after a top military leader & rival of the president was killed by a bomb). Avoid any political demonstrations and stay clear of any large presence of military on the streets. Many western nations lack a diplomatic presence in Guinea-Bissau, which means you will have a much harder time if arrested, detained, or in need of consular assistance in an emergency. Guinea-Bissau is a violent country, and is considered by the UN to be a major port for drug shipments into Europe. The military is known for corruption, prompting the head of the UN to refer to the head of the Air Force as a drug kingpin. The country also has the lowest per capita productivity and income in the world, which has the violence and crime to go along with it. White Europeans are especially vulnerable, and will be singled out by natives seeking to enact racial crime. White Europeans tend to be left alone if it is believed they are part of foreign aid efforts, or far left activists. Guinea-Bissau has had several Marxist Governments, providing a safe haven for Marxist radicals worldwide. There is no US or UK embassy in GB. The US & UK embassies in Dakar, Senegal are accredited to GB. The US has a liaison at: Edifício SITEC, Rua José Carlos Schwarz 245, Bairro d’Ajuda (tel. (245) 325-6382). Do not trust hotel safes, and stay away from any nightclubs not attached to major hotels. If you are arrested, be prepared to pay a bribe. However, it is not recommended to bribe officials directly. Simply ask if they can pay the fine for you, because you do not understand the customs procedures. Then leave the country as soon as possible. You must be careful around the wildlife because they may be dangerous and you must respect the animals at all times. Do not attempt to feed or touch an animal. Remember: Take nothing but photos, Leave nothing but footprints, and kill nothing but time. Having fun and being safe makes your trip the best it can be. Before traveling, make sure you have the yellow fever, hepatitis A, tetanus and typhoid vaccinations up to date. Malaria prophylaxis is highly recommended - consult a medical doctor for advice on which type to choose. Depending on the length and purpose of your stay, also consider vaccinations for hepatitis B, rabies, meningitis and tuberculosis. HIV is prevalent, as are most major sexually transmitted diseases. The CDC in the US listed Guinea-Bissau as a groundswell point for new HIV infections. If bitten by a dog, cat, monkey or bat - seek a doctor as fast as possible, no matter if you've been vaccinated or not. Everybody needs post-exposure rabies prophylaxis - but if vaccinated beforehand, you'll need less vaccines. Rabies can be prevented with vaccines and immunoglubulin, but once the symptoms present, there is no cure and about 100% die. Always use a condom when having sexual relations with new partners. Make sure you drink only bottled/filtered water. Muslims are mostly tolerant of others in this country, if your presence is considered to be temporary. There are a few radicalized mosques in the country, so it is advised that you do not venture into these areas. The Christian minority is tolerated, but under constant surveillance by Guinea-Bissau activists and Government officials. Check your home office or state department warnings about Guinea-Bissau. Some people (especially children) will ask you to take their photo, while others will get upset if you take photos - always ask in advance, if taking close-ups. Avoid taking photos of military installations without asking, though sometimes you'll be allowed to. 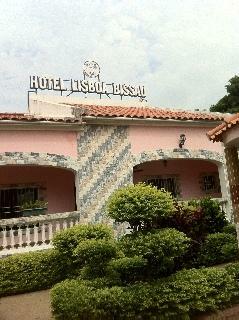 There are numerous internet cafés in the center of Bissau, but ask around, more of them are hard to spot from outside. Other options are Lenox or go wireless in Restaurant Phoenicia or hotel Bissau Palace. There are three mobile companies in Guinea Bissau all with prepaid mobile cards, that can be bought all over. It's easy to call abroad or other mobiles of the same company, but can be hard to call from one company to another (e.g. MTN->Guinétel). MTN GSM 900 - simcard 500 FCFA, not very expensive to call Europe or other African countries. Will soon be possible to get internet connection via an MTN mobile. On April 12, 2012, the military staged a coup d’état in Guinea-Bissau. During the incident, gun shots and grenade explosions were reported in the capital city of Bissau. The curfew in Bissau has been lifted. If you are currently in Bissau, keep a low profile, avoid travelling near military installations and to keep a supply of basic foods and water. You should keep well informed of the unfolding situation by monitoring local news and avoiding all public gatherings and demonstrations, as they could turn violent without warning. You should be aware that the political climate has been unstable in Guinea-Bissau for several years, particularly since the President's assassination on March 2, 2009, a day after the military Chief was killed in an explosion. There is no resident Canadian government office in Guinea-Bissau. You can obtain consular assistance and further consular information by contacting the Embassy of Canada in Dakar, Senegal or by calling the Emergency Watch and Response Centre in Ottawa at (613) 996-8885. We strongly recommend that you register with the Registration of Canadians Abroad service. Avoid traveling to the northwest portion of the country, bordering on Senegal. The region has long been the scene of clashes between Guinea-Bissau's army and Casamance rebels, who have been driven off Guinean soil since 2002. It would be dangerous to cross this border by land. Attacks in this region have resumed since March 2006, displacing thousands of residents. The road between Sao Domingos and Varela is closed because of the presence of landmines. Small arms proliferation is rampant in this conflict zone, and consequently there are many hold-ups. Further serious tensions are expected, and the government has increased security measures and the deployment of soldiers along the border. Incidents of road banditry and carjacking also pose a risk for travellers. Avoid travelling at night and be particularly vigilant outside major cities. Petty crime, including pickpocketing, is common at the airport, in markets and at public gatherings. Burglaries have increased and security is inadequate. Ensure that your personal belongings and travel documents are secure at all times and avoid walking alone after dark. Assaults often take place in the streets of Bissau. Avoid going out on foot after dark. Demonstrations occur and have the potential to suddenly turn violent. Avoid political events and other situations where demonstrations may occur, follow the advice of local authorities and monitor local media. Roads are poorly lit and not well maintained. You should not leave the roads and pathways designated by local authorities because of possible minefields. There is no rail service. Air travel is not available from the mainland to the Bijagos Islands. You should avoid canoes, which are not safe. You can contact tour operators that organize boat trips to the islands. You should contact the Embassy of Canada in Dakar, Senegal, in the event of an emergency on the islands. Guinea-Bissau does not participate in the International Driving Permit (IDP) program. You should hire a driver. However, Canadians with a valid Canadian driver's licence may drive for a maximum of three months. After three months, Canadian cooperants should contact the International Cooperation Directorate to obtain a cooperant's licence; those in the private sector should contact the Transportation Directorate for a Guinean licence. Although NGOs are working on the clearance of minefields, it is possible that unexploded military ammunition and antipersonnel mines are still present outside Bissau, especially in the regions of Bafata, Oio, Biombo, Quinara and Tombali. Telecommunications are expensive and unreliable. There are few public telephones. Utilities and infrastructure have been severely damaged. Electricity and water supplies are available for only a few hours a day. In some areas in West Africa, certain insects carry and spread diseases like African trypanosomiasis (sleeping sickness), chikungunya, Crimean-Congo hemorrhagic fever, dengue fever, leishmaniasis, lymphatic filariasis, malaria, onchocerciasis, Rift Valley fever, West Nile virus and yellow fever. Travellers are cautioned to avoid contact with animals, including dogs, monkeys, snakes, rodents, birds, and bats. Certain infections found in some areas in West Africa, like avian influenza and rabies, can be shared between humans and animals. Medical facilities are limited throughout the country, including in the capital. Medical clinics or trained medical personnel are non-existent on the islands. Homosexuality is illegal in Guinea-Bissau. Sentences for drug-related incidents can be very severe. Taking photographs of the airport, docks, or military or police installations is strictly forbidden. Hunting is restricted in Guinea-Bissau. Authorizations for hunting areas may be issued by the Forests and Animal Resources Directorate. Hunting in the Cantanhes reserve in southern Guinea-Bissau, however, is strictly forbidden. The currency is the African Financial Community CFA franc (or XOF bank code). The economy is cash-based. Import and export of local currency is prohibited. Import of foreign currency is unlimited, provided it is declared on arrival; export of foreign currency is limited to the amount declared on arrival. Traveller's cheques in euros or US dollars can be exchanged. The rainy season extends from May to November, with high humidity from July to September. The dry season lasts from December to April, with hot winds blowing from the interior. You should keep informed of regional weather forecasts and plan accordingly.